An MRI can be very easy to understand if you know where to look and radiologists who do this for a living make it look very easy. 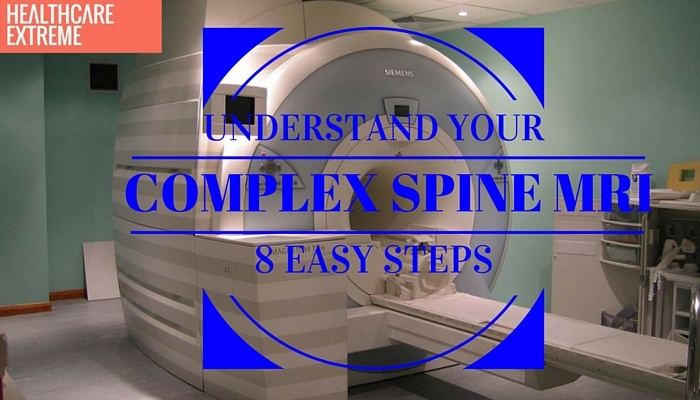 This is a very simple guide to help you understand your MRI pictures and how they correlate with your symptoms. I will start with the length-wise sagittal views, or what I call the baguette views as they are easier to follow. Then I will review the axial or cross-section views that I call the sliced bread view. Start with the lengthwise image (sagittal images) and look at the middle of the central canal where the nerves float in the protective cerebral spinal fluid. Make sure you look at the picture where the central canal is white as it highlights as well as borders the structures that we are interested in such as the bones, ligaments and nerves of the spine. 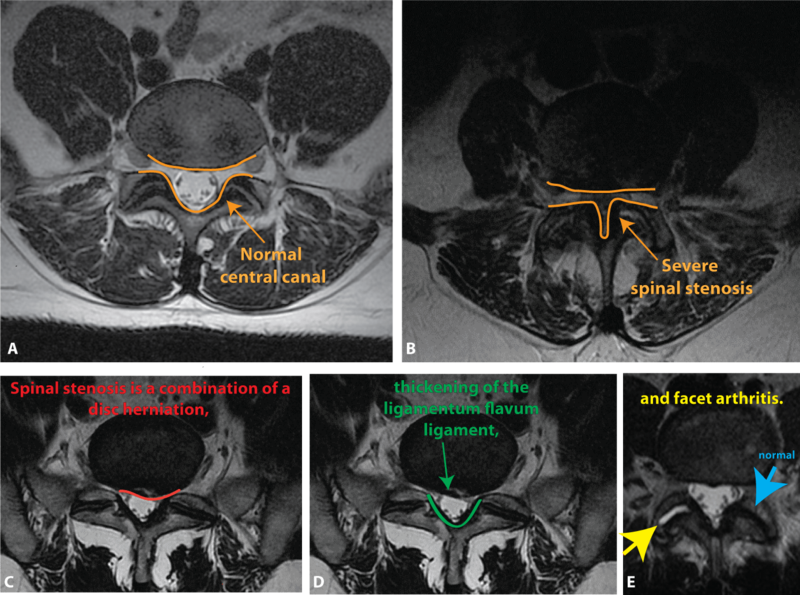 Anything that encroaches into the smooth linear central canal can be a potential problem such as the figure on the right which demonstrates severe spinal stenosis of the central canal. Next look at the 5 vertebral bodies that stack up and form the lumbar spine or the spine within the lower back. They are numbered top down from one to five. Their function is to support and protect the delicate nerves that pass through to the pelvis and lower legs. They should have a general square shape. If they look triangular, it indicates a fracture (inset). Look at the alignment of the posterior borders of the five vertebral bodies (red line). The picture on the left demonstrates a normal spine with a smooth line connecting the posterior borders. Any irregularity of that line by the vertebral bodies as demonstrated in the pictures on right represents excessive bone, ligament or disc wear-and-tear in the segment which causes greater motion and instability. This is called spondylolisthesis. 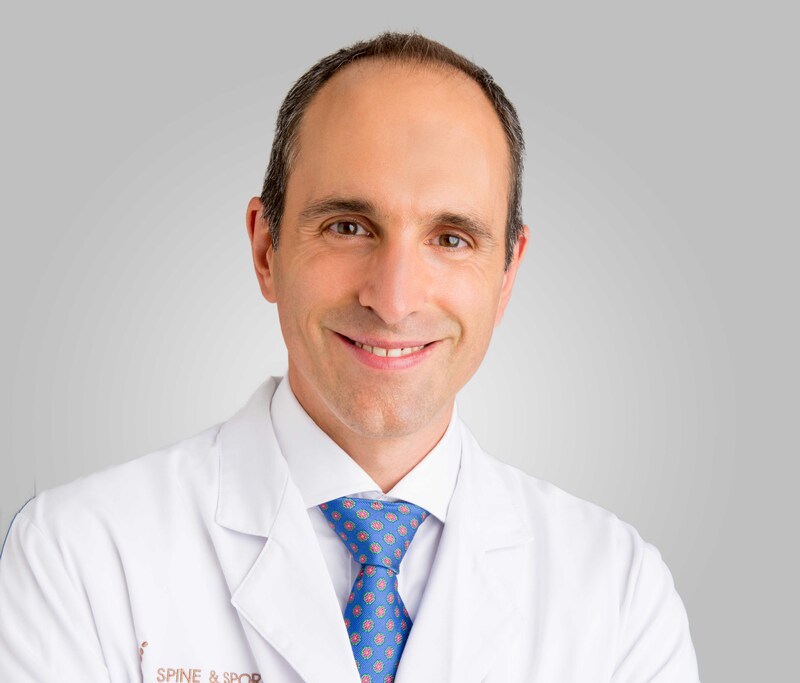 This instability places greater stress on the discs which makes them degenerate faster resulting in a greater risk of disc herniation, nerve irritation, arthritis and pain. Look between the vertebral bodies for the intervertebral discs. They are numbered from L1-2 to L5-S1 based on their location between the vertebral bodies. Discs have a great deal of fluid within them which allow them to act as shock absorbers but over time the discs can begin to dry out and degenerate. A normal intervertebral disc has significant white signal internally (figure A) which represents normal fluid. As the intervertebral disc degenerates, the normal white signal is lost (figure B). Without the fluid, the disc begins to narrow and degenerate further (figure C). 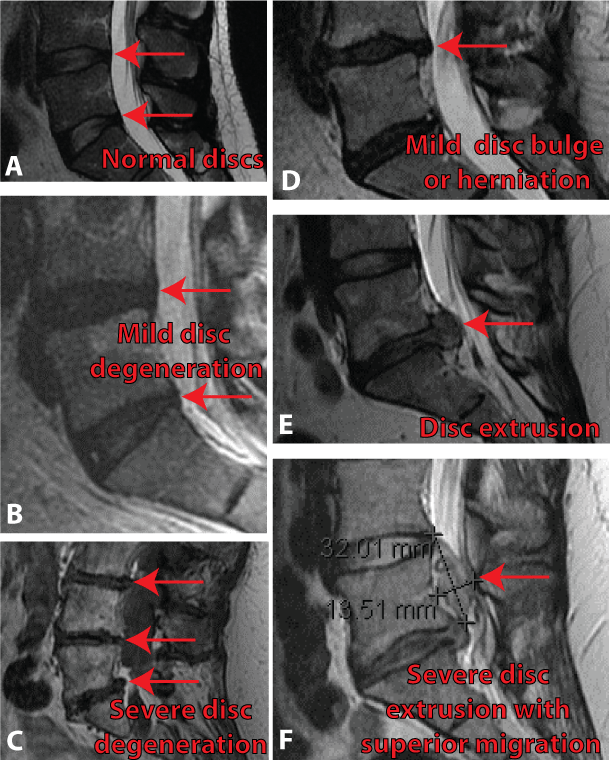 With loss of the interior supporting fluid, the thick collagen walls of the disc begin to bulge outwards into the central canal from the excessive pressure (figure D). The excessive pressure continues until the disc wall tears open and the remaining fluid within the disc squeezes out into the central canal (figure E). If a little material squeezes out it can result in a mild disc herniation. If a great deal of fluid squeezes out it is called a disc extrusion which can migrate (figure F). Basically the more material that is squeezed into the central canal, the greater the chance of severe pain, weakness, numbness and tingling. On both sides of the spinal column; you will find narrow keyhole-shaped canals called foramen. The foramen allow individual nerves to exit from the spine. Since the foramen are narrower than the larger central canal, a small disc herniation is more likely to pinch or irritate a nerve. 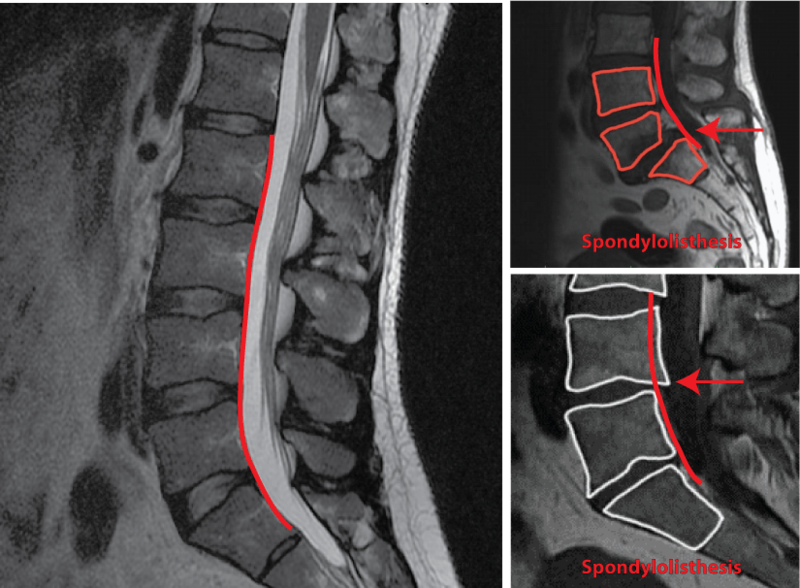 The axial images or sliced bread views provide a clearer picture of a specific intervertebral disc and the adjacent nerves. 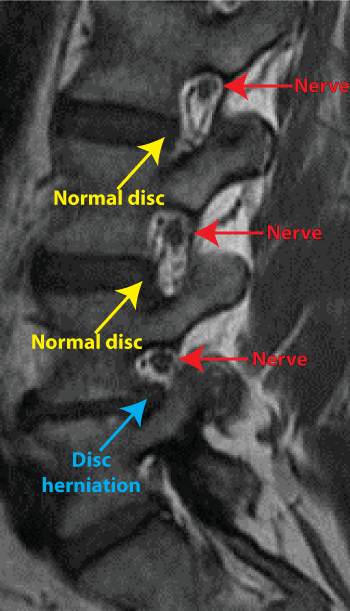 A normal disc (figure A) provides ample room for the nerves to pass through. 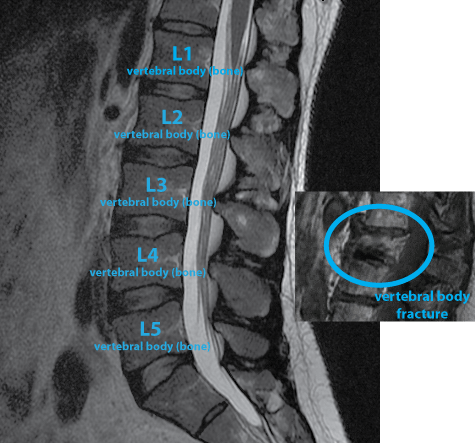 Any type of disc herniation (figure B) narrows the normally roomy canals causing the transiting nerves to become irritated or compressed which results in symptoms. 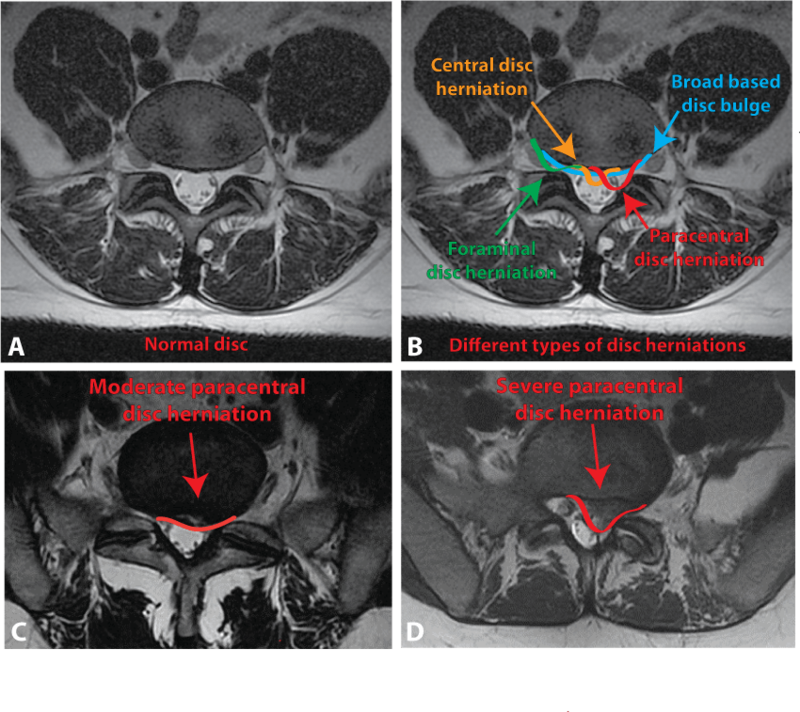 A small disc herniation (figure C) may not produce any symptoms but a large disc herniation (figure D) may result in severe pain, weakness, numbness or tingling. The normal central canal is usually quite big (figure A) and houses and protects the descending nerves. 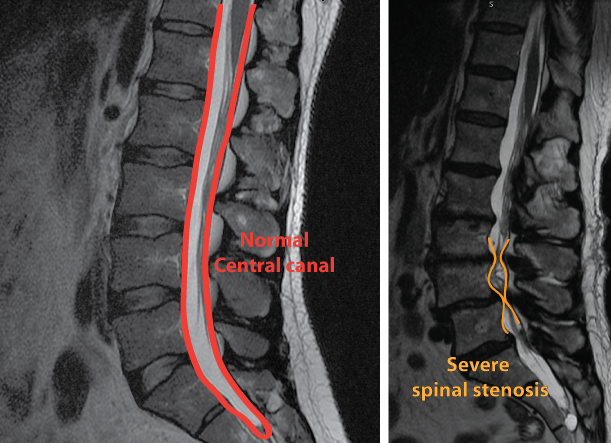 Narrowing of the central canal is known as spinal stenosis (figure B). 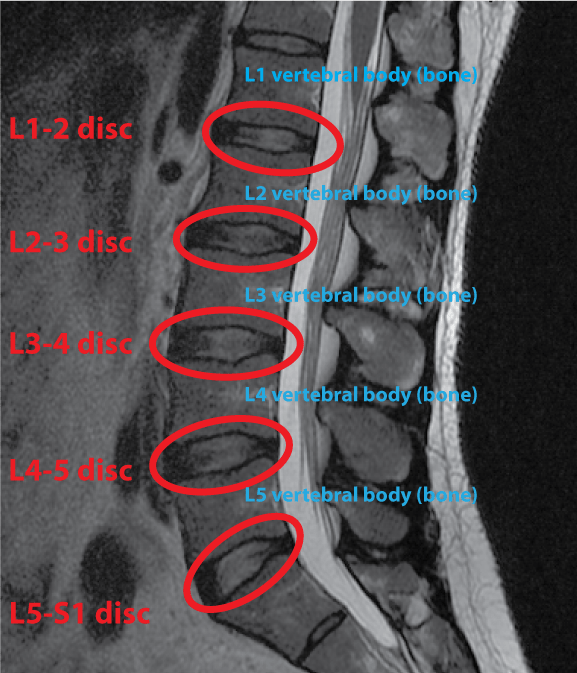 The condition occurs when the intervertebral disc (figure C), ligamentum flavum (figure D) and facet joints (figure E) undergo extensive wear-in-tear and degenerate. As they degenerate, they expand into and narrow the central canal which results in nerve compression. The resulting nerve compression can cause progressive pain, weakness and numbness.